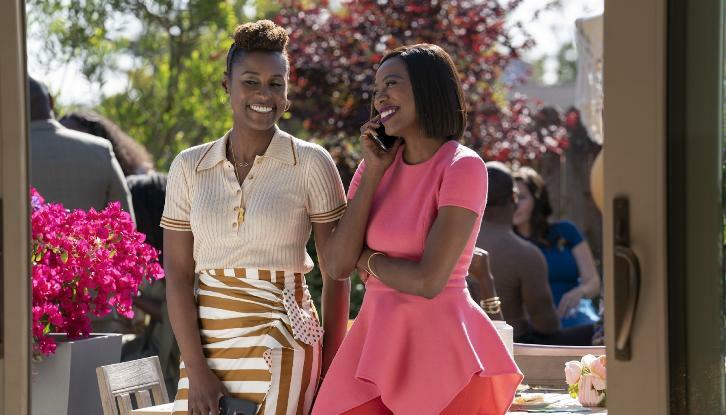 Issa (Issa Rae) needs moral support when her new project proves more complicated than she originally thought. Issa and Kelli (Natasha Rothwell) press Molly (Yvonne Orji) to consider dating someone new. Later, the girls attend Tiffany’s (Amanda Seales) baby shower and try to be helpful. Written by Laura Kittrell; directed by Liesel Tommy.